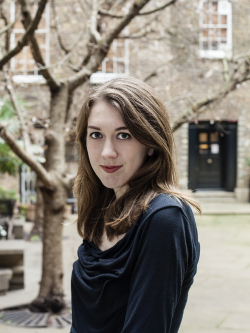 Today’s guest is fantasy author Samantha Shannon! Her internationally bestselling debut novel, The Bone Season, is the first book in a series with the same name as its opening installment. Her latest book, The Priory of the Orange Tree, is a New York Times bestselling standalone epic fantasy novel with dragons and one of the most gorgeous covers I’ve ever seen (also featuring dragons!). 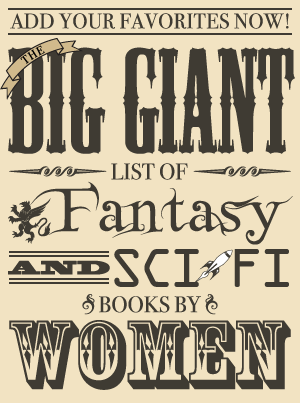 Epic fantasy is the genre where everything plays out on the grandest of scales. This is a realm of sprawling lands, of ancient feuds, of conflicts that could save or end the world. In this genre, a writer needs to think big. Yet a paracosm—an invented world—is something like a tapestry. No matter how vast it is, it’s made up of a multitude of threads. It’s in these threads—in the fine details—that a picture, or a story, comes to life. Even as we think big, we must also think small. With that in mind, I thought I’d share my inspirations for some of the little details in my latest novel, The Priory of the Orange Tree. One detail that crops up in Priory is the eerietale of the sorrower—a bird that makes a sound like a baby just as it begins to cry. Disgraced alchemist Niclays views the sorrower as a symbol of his life in exile: ‘The whisper that never quite turned into a scream. The wait for a blow that never came.’ Many people on the island of Seiiki believe these dark-winged birds to be possessed by the spirits of stillborn children, and fear that their song can bring on a miscarriage. This has caused the sorrower to be sporadically hunted throughout Seiikinese history. The hic-hic-hic is rumoured to have driven one empress mad with frustration as she searched for a baby she could never find. It’s a chilling story that would never have occurred to me without a real-life inspiration. In July 2017, I visited Japan to conduct some on-site research for Priory, since Seiiki is loosely based on Edo Japan during its period of sakoku (鎖国 ‘chained country’). On the day I arrived, I decided to shake off the jetlag right away and visit Ōsaka Castle. As I walked back to my hotel through the heat of the summer afternoon, I passed a line of trees and heard a sound. To this day it remains difficult to describe, but the closest I can get to a comparison is the sound of a grizzling baby. There was no baby to be seen on that street. No one around at all, in fact. A moment later, a dark-coloured bird fluttered past, and the sound ceased. Every hair on my arms stood on end. To this day, I have no idea what species of bird flew past me, or if the sound even came from a bird. I’ve wondered if I experienced an auditory hallucination—acoustic aura has occasionally been reported in people who suffer from migraines, as I do. Whatever I heard in Ōsaka that day, I remembered to scribble a description of the sound in the notebook I’d brought with me to Japan, and as soon as I got back to London, I spun that strange experience into the story of the sorrower. In the acknowledgements of The Priory of the Orange Tree, I thank my mum for inspiring me to build the world as high as it was wide. It’s because of her that The Priory of the Orange Tree has mountains with names and distinct characters. About six months before I finished editing Priory, my mum became fascinated by Mount Everest. She gobbled up documentaries, films and books about the highest mountain on Earth and the people who have lost their lives on it. Once she’d exhausted every resource on Everest, she was on to learning about K2, Dhaulagiri, and the other Himalayan peaks that spear into the so-called Death Zone. Past 25000 feet, in freezing conditions and with limited oxygen, the human body starts to die. The blood runs thick, the heart struggles, and the mind clouds. My mum’s interests tend to be catching. Before long, I was just as curious about these snow-capped peaks and the impossible risks people take to reach their summits. They seem undaunted by the deep-frozen bodies that have lain for years in the snow—bodies that serve as warnings, as reminders of the danger. ‘The mountains are calling and I must go,’ as John Muir once said. All this inspired me to introduce an event in the backstory of Tané of Ampiki, one of the four narrators in Priory. Mount Tego, which most closely resembles K2 in terms of appearance and difficulty, is the tallest of the Seiikinese mountains. Steep and brutal, it has shaped and claimed many lives over thousands of years. Apprentices like Tané, who hope to be dragonriders, are challenged to climb to its summit. Should they succeed, they are said to be rewarded by the spirit of Kwiriki, the Great Dragon Elder, who will descend from the celestial plane to meet them. A mountain climb made perfect sense to me as a test of endurance and commitment for prospective riders. It prompted me to consider the toll of dragonriding on the human body. During one journey, Tané eats cuts of ginger root to alleviate the effects of altitude sickness and suffers from the ‘sun quake’ when her dragon crosses a desert, leaving her exposed to the elements for days. I use her successful ascent of Mount Tego to demonstrate her sheer, bloody-minded determination to succeed in the face of incredible odds. Aged seventeen, Tané, ‘tattered and wind-torn’ and coughing up blood, places her hand on the summit. She is the only apprentice from the South House to do this. Despite being born in extreme poverty, orphaned as a child, and taunted for her background, she alone conquers the mountain. My interest in the Death Zone also inspired me to create a mountain range called the Lords of Fallen Night, which marks the northern border of the Empire of the Twelve Lakes. Most of these mountains are at least as massive as Everest, and Brhazat—the queen of all mountains— is almost twice its size. One of the characters in Priory is a mysterious enchantress named Kalyba, who originates in the mythos of Saint George and the Dragon. I re-imagine her as a more active and complicated figure in Priory, which approaches the legend from a feminist perspective. Around the middle of the book, Ead—another one of the narrators—pays a visit to the Bower of Eternity, where Kalyba resides, and hears the enchantress singing. as lutil as mus in gul mede. With thu in soyle, corn grewath tal. In thu I hafde blowende sede. boute in belga bearn wil nat slepe. he huntath dama, nat for me. The mayde of strore (‘maid of straw’) refers to the ancient practice of crafting corn mothers, or corn dollies. In pre-Christian Europe, these straw figures, which can take various shapes, were traditionally made from the last of the corn after a harvest. Once the crops had been reaped, the spirit of the corn, which was thought to reside in those crops, had nowhere to live for the winter. The corn dolly provided it with a home. This lovingly made idol would be kept safe until spring, when it would be returned to the soil. In her song, Kalyba makes a corn dolly, but speaks of how a child will not sleep in her womb. Her backstory is deeply tied in to bloodlines, childbirth, and unrequited love. All of these themes appear in her lament. 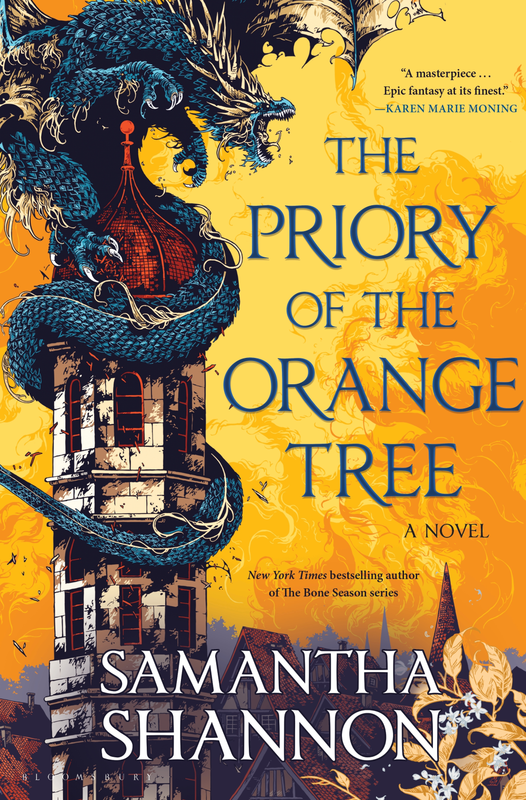 Photo Credit: Louise Haywood-Schiefer Samantha Shannon is the author of The Priory of the Orange Tree. She studied English Language and Literature at St. Anne’s College, Oxford. The Bone Season, the first in a seven-book series, was a New York Times bestseller and the inaugural Today Book Club selection. Film and TV rights were acquired by the Imaginarium Studios. The Mime Order followed in 2015 and The Song Rising in 2017. Her work has been translated into twenty-six languages. She lives in London.